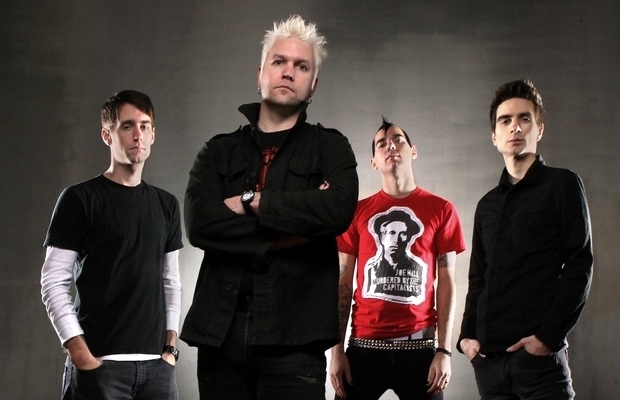 ANTI-FLAG SPRING TURNS TO AUTUMN! Pittsburgh punks ANTI-FLAG have announced six UK dates for Autumn, following their London appearance for the VANS WARPED TOUR on 18 October. The band previously already has a handful of UK dates lined up in August, including a REBELLION show. They released their new album American Spring – featuring special guests Tom Morello of RAGE AGAINST THE MACHINE and Tim Armstrong of RANCID – last month through Spinefarm. The 20-25 October dates feature support from RED CITY RADIO, TROPHY EYES and THE HOMELESS GOSPEL CHOIR. Check out the video for the song ‘Brandenburg Gate’, featuring Tim Armstrong. ‹ BRAINIAC 5 EXPLODE IN LONDON!